From Renaissance art to world war history and cutting-edge fashion, discover three incredible experiences not to miss in Belgium. 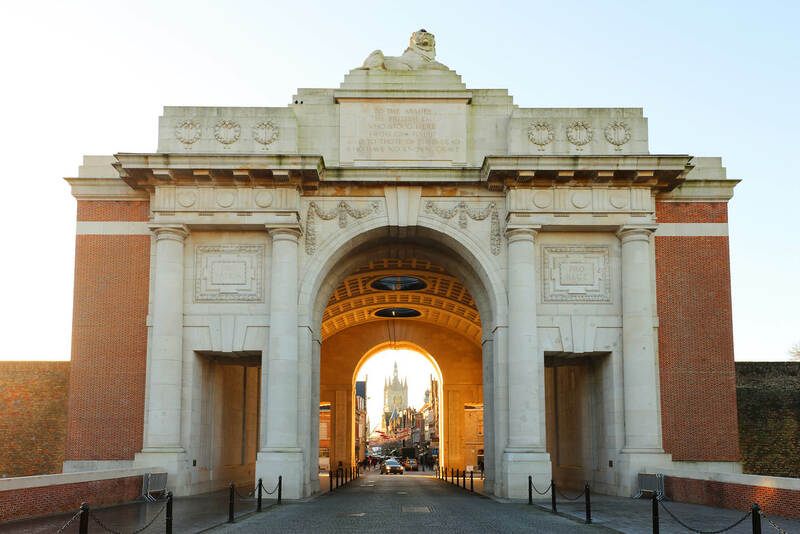 There’s no doubt that the First World War left its mark on many regions in Belgium, but none more so than in Ypres. Not only was the whole medieval city destroyed and completely rebuilt during and after the war, but also the surrounding fields saw some of the toughest fighting. The only part of the city that survived the onslaught almost intact were the medieval ramparts, and it’s through a cutaway in them that thousands of soldiers passed through on their way to the front. So it was a natural choice in 1927 for the location of a memorial, the Menin Gate, to commemorate the missing. 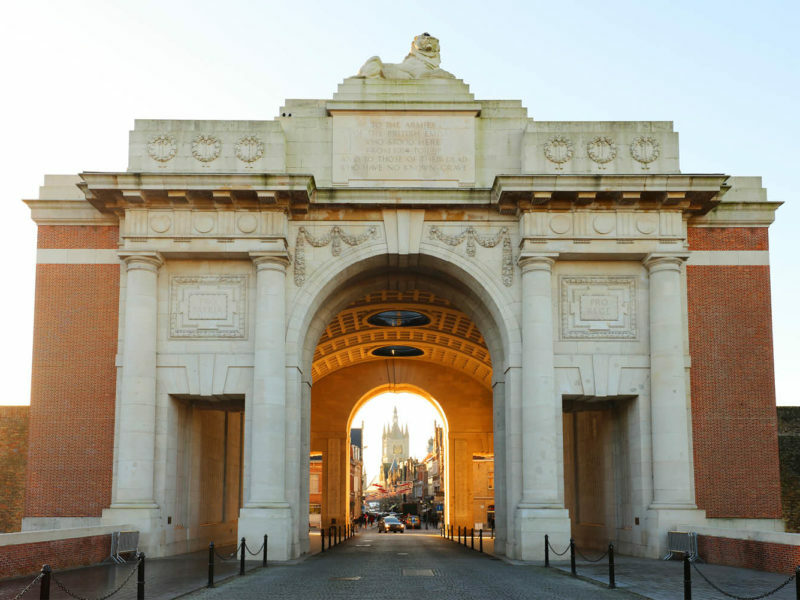 Some 54,896 names of the missing are engraved on the monumental arch, and every night for the past 90 years (except during the Second World War due to German occupation) the town of Ypres has honoured these men with a ceremony known as the Last Post. Held at 8pm and open to anyone, this ceremony is one of the most emotionally charged and thoughtful ways to understand the horrors of this global conflict. You don’t need to book a spot, but it can be busy on anniversaries and during the summer months so get there before 7.30pm. Some nights five people lay wreaths while other nights can see up to 50 people lay them. If you’d like to lay a wreath, you can either register beforehand to be included on the official program, or you can turn up on the night and speak to the master of ceremonies. The ceremony is free to attend and offers standing room only. Antwerp first landed on the fashion map back in the ’80s when the so-called ‘Antwerp Six’ featured at London Fashion Week for the first time. The collective of six young designers, who graduated from Royal Academy of Fine Arts of Antwerp in 1980-81, soon helped create a reputation for the city (and the art school) for innovative design, fashion and progressiveness. Since then Antwerp has grown into somewhat of a ‘capital of cool’ in a country firmly rooted in history, medieval art and trade. For the best shopping, head to the Sint-Andries quarter and the streets off Nationalestraat. You’ll find local designers side by side with global fashion houses and even one of the most enduring of the Antwerp Six, Dries Van Noten. Dynamic local designs not to miss include A.F.Vandevorst (whose block-colour leather designs are highly sought-after), Ginger (for bold patterned dresses) and Hutch for men’s fashion. Vintage lovers should head to Labels Inc. for secondhand fashion from Belgium fashion labels, or Think Twice, which has incredibly affordable pre-loved fashion from the 80s and 90s, including handbags and men’s fashion. The new Fashion in Antwerp app, which highlights five fashion walking routes around the city, taking in shopping, design and fashion history, is a good resource. Note that MoMu, Antwerp’s dynamic fashion museum is currently closed until 2020 for renovations that will add 800 square metres to their already prodigious space. Bruges is one of Belgium’s most beautiful cities, with over 10 kilometres of winding canals, vine-covered cottages, sprawling churches and horse-drawn carriages. It’s easily seen in a day but is most serene when the day-trippers leave and the evenings are still and quiet. Near the centre of the old town, you’ll find the small and unassuming Church of Our Lady (Onze Lieve Vrouwekerk), where Michelangelo’s famous Madonna and Child statue resides. Commissioned by a wealthy Bruges family, this statue is remarkable for several reasons. It’s the only statue the artist completed that left Italy during his lifetime, its composition of baby Jesus and Mary is distinctly modern despite its early 16th century provenance and the skill behind the artistry is stunning. The statue has also been the subject of two art thefts. The first was when a conquering Napoleon took her to France before she was recovered after his defeat in 1816, and the second was by Nazi soldiers, when Hitler ordered the removal of the statue as part of his plan for his Third Reich art museum. The Allied rescue mission, as depicted in 2014 movie The Monuments Men (directed by, and starring, George Clooney), found the statue factory in a salt mine along with several hundred, if not thousands, of precious artworks in Altaussee, Austria. Since then the Madonna has had a much quieter life in the small church in Bruges, where you can see her for free. She remains one of Michelangelo’s most inspiring artworks and the only one that you won’t have to line up for hours to see.